LLAM needs your help in advocating for the Maryland Uniform Electronic Materials Act (MUELMA). Pre-filed HB46 is sponsored by by Del. Sam Arora, District 19, Montgomery County. The First Hearing was held on Thursday, 1/23/2014 before the Health and Government Operations Committee. Testimony in favor of UELMA was provided by Delegate Arora; Steve Leitess, Uniform Law Commission, Maryland Member; Emily Feltren, AALL Government Relations Office; and Tonya Baroudi, LLAM President. 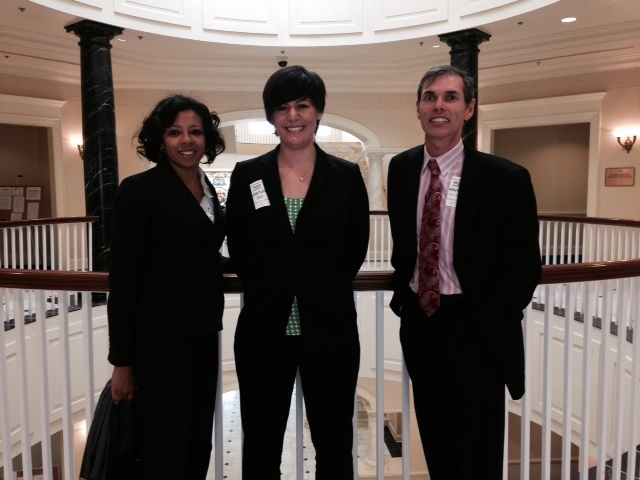 Steve Anderson, Mary Jo Lazun, Paul Lagasse, and Joanie Bellistri attended the hearing to show support for the panel. An interlineated copy was provided by Delegate Arora to the committee that included amendments to the pre-filed bill that removed requirements for reported decisions of the circuit and district courts and for certain administrative materials. The revision also added the Maryland Register to the list of legal materials. Tonya and Emily both voiced support as amended. Why has the Act only been adopted in only 8 states in the last two years? Are there major differences between the Model Act and the Maryland Act? Have there been any problems where the Act has been adopted that have required a retroactive fix? Answers were provided by Steve Leitess of the ULC who stated that it is not unusual for a Uniform Act to take more than one year for adoption, that there are no major differences between the acts and that there are no known instances of a fix being needed after adoption. Now that the first hearing has taken place, LLAM members can advocate for UELMA by contacting their delegates who are on the Health and Government Operations Committee. Read on to find out how. Is one of them a member of the House >Health and Government Operations Committee? It is a good idea to personalize the message so that all messages are not identical.